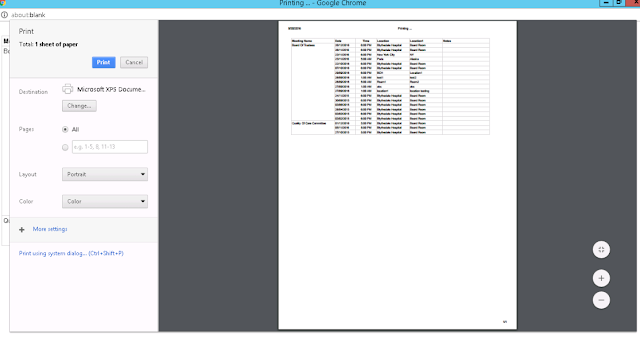 SSRS toolbox provides Print functionality. But it's browser dependent. It works fine only with Internet Explorer browser, not compatible with Firefox and Chrome browsers. // uncomment to autoclose the preview window when printing is confirmed or canceled. I hope this will help you out to make print functionality working in Chrome and Firefox.